“That’s great, honey!,” I replied, still setting down my work bag, breastfeeding pump, and lunch bag from the day. When he retorted with “But mommy, you didn’t look with your eyes,” I quickly realized my son needed more than verbal acknowledgement. He needed me to be present with him. Sometimes in the midst of the daily routine, the things that keep both our hands and our minds busy, we forget to truly be present with our kids. Even my littlest kiddo knows when I’m looking at my phone instead of focusing on her and she can barely say “mama”. Put down your phone during the times of the day when the kids are your priority. (This is me preaching to myself here, not throwing stones!) Save the scrolling and checking for when your most precious ones aren’t around. Instead of standing over your kids while you’re giving instructions, answering questions, or wiping noses, take the extra second to stoop down to their level. Trust me, they notice! They crave that eye contact just like we do as adults with our friends, coworkers, and family members. 3. 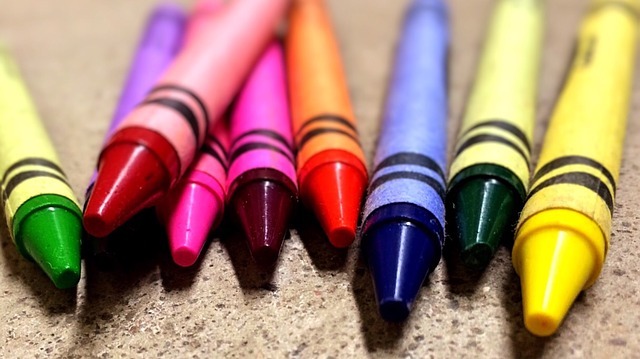 Give each child your full attention for 10 minutes each day. After trying it for the last year or so though, I can see a noticeable difference in my kids’ behavior and attitude when I make sure to set aside 10 minutes of special time per day with each child. They truly notice when I’m present with them, focused enough to start and finish the puzzle, playdoh creation, or coloring sheet instead of getting distracted by the laundry beeping or the phone dinging. 4. Focus on making memories. Instead of giving in to your child’s every little want or desire, focus on creating experiences that allow you to be present with your child and make special memories both of you will cherish. 5. Savor the moments (especially the little ones). While you’re making memories, be sure to drink in and savor those moments, especially the little ones. Our small kids grow into big kids and before we know it they will be starting their own families and we’ll wonder why we didn’t appreciate the time we had with them when they were small. Take mental snapshots (and physical ones too!) and enjoy these years with littles around! What’s your best tip for staying present with your young kids? Sharing with Five Minute Friday. Thank you to Mary Flo Ridley for giving permission for me to re-post this here and share some Christmas humor with you. I realize you haven’t heard from me in a while. I’ve been a little busy the last few decades, but I find myself desperately in need of some Santa help this year. I’m confident I made the Nice List, but in the off chance that I did slip once or twice, surely I can get a rollover from those years before becoming a parent. I’d like to take advantage of that Christmas gift backlog this year if it’s alright with you. 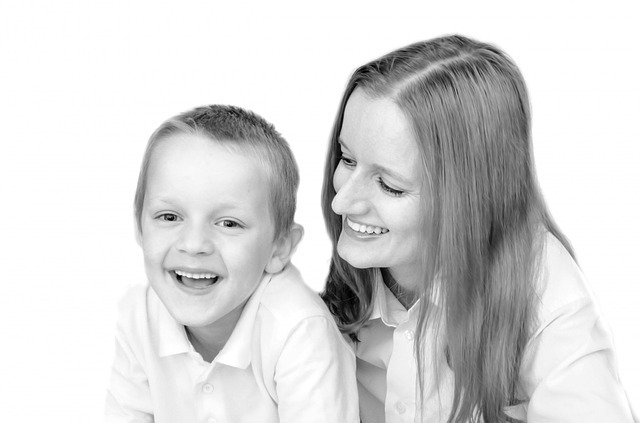 Attached in this email, you will find letters from my children with their Christmas wishes. Please disregard any requests for gifts that include sweets or toys that make loud noises. My children need no help in that department. Also, I’d really like an extra hour added to every day, somewhere between 8:30 pm and midnight – you know, after kids are in bed. Also, if you could inspire Darling Husband to dole out back rubs and/or foot massages during that hour, I have no doubt I could unequivocally make the Nice list next year. 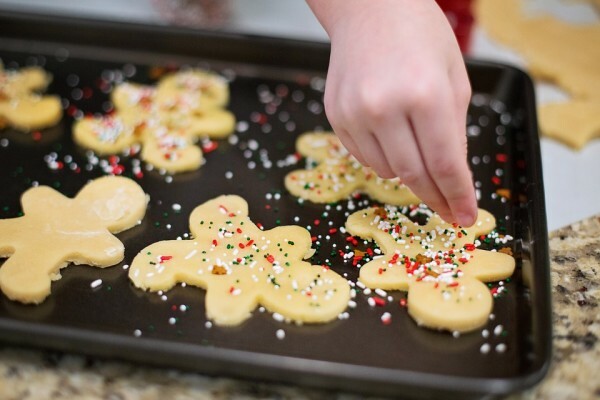 If you wouldn’t mind spreading some Christmas magic around a few weeks early, I could really use a miraculous and instantaneous tolerance in my kids’ systems to the outrageous amount of sugar they will be given at the Christmas parties they will attend. I could really do with a sugar-rush-free holiday. While I have you handing out early presents, how about a house elf to clean rooms and children for company, put up and decorate the tree, shop for kids’ Christmas gifts without said dearies ruining any chance at surprises, put the tree back up after children and/or pets knock it over, and make a feast for 14? You must have a couple extra elves you could spare for the job. And can I schedule them to return periodically through the year to do some babysitting? I hear elves are great with kids. Of course, if it’s too much hassle hitching up the sleigh every time, I can always send the kids to them for a few days. Can we find a way to rework the vacation and sick-day policies on my Mom contract? Come to think of it, I never did get that contract in writing. I’d like to renegotiate for at least 2 sick days and one week of child-free vacation a year. If you’re too busy or unable to handle any of these requests, I will understand, of course, as long as this last and most important Christmas wish is granted. 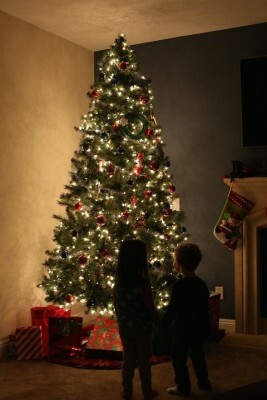 That is to see the pure joy and innocent wonder on my children’s faces as we gather as a family around the tree on Christmas morning. 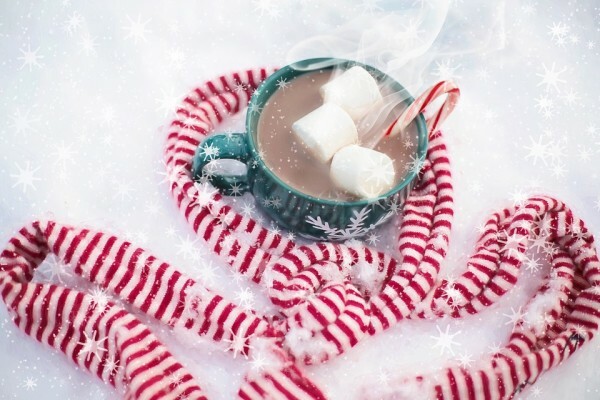 Nothing could compare to the gift of that moment….although if you could throw in a trip for one to Aruba after all of this holiday madness settles down, that would be great too. Sent from my iPhone while simultaneously making dinner, breaking up fights, and checking homework. Parenting is a gift (but truly, it’s hard work!) and we all can benefit from a little humor this time of year. I hope you all have a wonderfully blessed Christmas and you find time to parent with purpose! As a busy working mom, with so many tasks, responsibilities, projects and ideas swirling around in my head on any given day, memorizing scripture is difficult for me. Memorizing much of anything has never been my strong suit but since I’m committed to planting God’s truths in my heart and in the hearts of my children, finding a way to keep God’s word front and center in our lives is so important. Did you know our brains are wired to remember words set to music better than just text on a page? 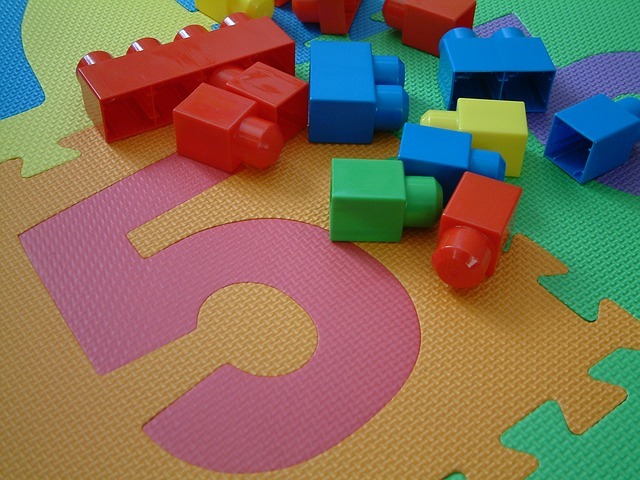 The Wall Street Journal explains in an article describing brain function that “information set to music is among the easiest to remember.” If you think about it, one of the first things we teach our young children is their alphabet with the A-B-C song. If you followed along with my Parenting with Purpose series last year you’ll remember my love for scripture set to music, (including ways to get it for free). While memorizing really is tough for me, when scripture is set to music word-for-word, it’s so much easier to recall it when I need it most. Love scripture? Love music? Don’t miss this FREE @seedsworship album available this week! Seeds Family Worship is celebrating the launch of their brand new website and THIS WEEK ONLY they are offering a FREE download of the entire Seeds of Courage album. That’s 12 songs straight from scripture. My personal favorite (and one I need to listen to OFTEN) is #2, Do Not Be Anxious (Philippians 4:6-7), because really, don’t we ALL need this reminder? So…what are you waiting for? Go grab your free Seeds Family Worship album. I promise it’s music both you and your kids will love! P.S. Be sure to scroll down to the bottom of the new Seeds Family Worship page. You’ll see this green bar at the bottom – enter your email and you’ll get the free download! Yesterday a friend reached out to me on Facebook asking me to pray for her. She was discouraged, frustrated by both her children’s disrespectful behavior and her own negative response to it. It’s true. Being a parent is not for the faint of heart! Being a good parent is even more difficult. Add in trying to mold and shape your kids’ hearts into the likeness of Jesus and you can quickly become an overwhelmed mama! 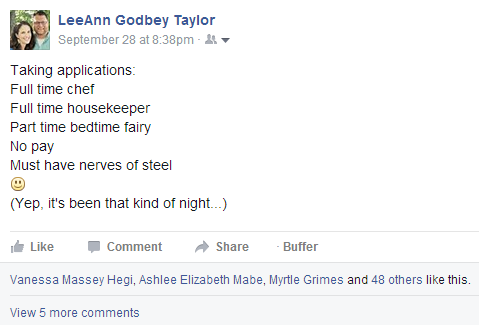 Just last week I was ready to raise the proverbial white flag of surrender, ready to give up my “mother” job. Seriously?! These kids refuse to eat anything I make for them, even if they declared it their favorite yesterday. Why do I even try to get them to eat veggies and a meat other than chicken nuggets? OUCH, why am I stepping on alphabet magnets in the kitchen floor AGAIN? And what in the world is that sticky stuff on the counter that is now all over my arm…and in the baby’s hair? But actually I’m just glad the house is now quiet and I can THINK for a moment. Shew, time to crawl in my bed. Those dishes and everything else I had on my to-do list for tonight will just have to wait, again. I have determined parenting’s purpose in my life sometimes is to get me to rely on Jesus instead of myself. It’s working! As you seek to be the mama God’s called you to be to your children, I will leave you with this reminder from scripture. Be encouraged! Let’s remember to keep our focus on the unseen as we seek to parent with purpose and create homes centered around God’s truths. Have you had one of these “raise the white flag of surrender…I’m DONE with being a mama” kind of days lately? How’d you feel in that moment? What encouragement can you give the rest of us? Share in a comment below or in the Parenting with Purpose private Facebook page! Last year I joined in with hundreds of other writers online in The Nester’s 31 Day Writing Challenge. 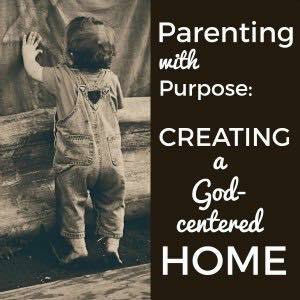 I really loved sharing this series on Parenting With Purpose: Creating a God-Centered Home, as I have a heart for intentionally impressing God’s Word upon the hearts of our children. This year, I’m back at it again! 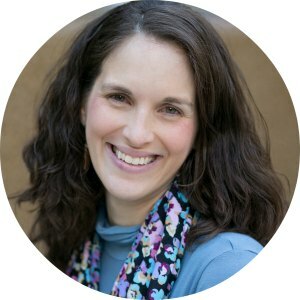 I just love-love-love connecting you with tools and resources to help make your job as intentional Christian moms just a tad bit easier. I can’t wait to share some of what I’ve compiled with you. If you missed the series last year, you can find all of last year’s posts here – 2014 – Parenting With Purpose: Creating a God-Centered Home. My kids are 6, 3, and 9 months old. We have a house full of “littles”. 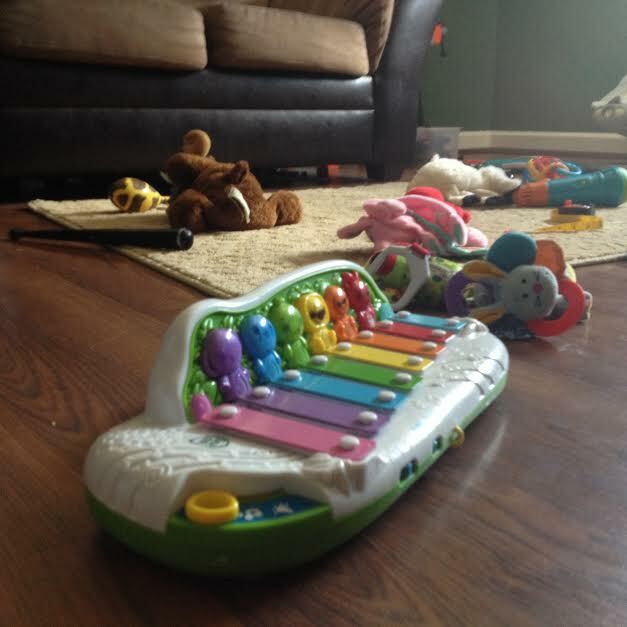 I struggle daily to sort out the conflicting messages of what parenting “should” look in our home. I’m learning the importance of seeking God personally first before I seek to impart godly wisdom to my children. There are hundreds of tools and ideas available as you seek to create a God-centered home. I’ll be sharing just a few of them, so this won’t be an exhaustive list! If you’re not already receiving blog posts by email, you can sign up to have the posts delivered right to your inbox so you don’t have to remember to click over to the blog each day. 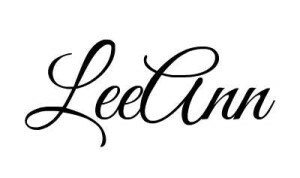 If you’d like to dig deeper into the topic each day, join the private Facebook group to connect with other moms and grandmothers who are also passionate about creating a God-centered home. If you have a friend who would also be interested in this series, please use the social sharing buttons below to invite them to join us on the journey! You can also pin the series button to Pinterest to refer to later as you grow in your parenting. Do you have a favorite resource you want to make sure I don’t miss? Contact me! It’s back to school time! Time to spruce up our morning routines. Now we’re working on our morning routine since in our family, mornings are our “around the table times”. Hubby works afternoons and evenings during the week as a pastoral life coach, so eating dinner around the table together usually only happens on the weekends when we aren’t out exploring or traveling. Each year has seasons, and for us, the back-to-school season is a great time to refocus on intentional parenting with purpose. It’s simple on purpose since our kids are young. Your morning routine will look different in your home, but I’d encourage you to take a few minutes to think about what kind of morning would be your ideal morning. Then work backwards to put systems and routines in place to make that happen. Let’s be real. If you have a beautifully planned schedule for your mornings and you have littles, middles, or even big big kids, your mornings probably won’t go 100% like you plan. But as the saying goes, failing to plan = planning to fail. So this school year, let’s be intentional in determining the type of environment we’d like to create for our family and take some action to make it happen. Then remember to give yourself and your kiddos grace when it doesn’t work perfectly. 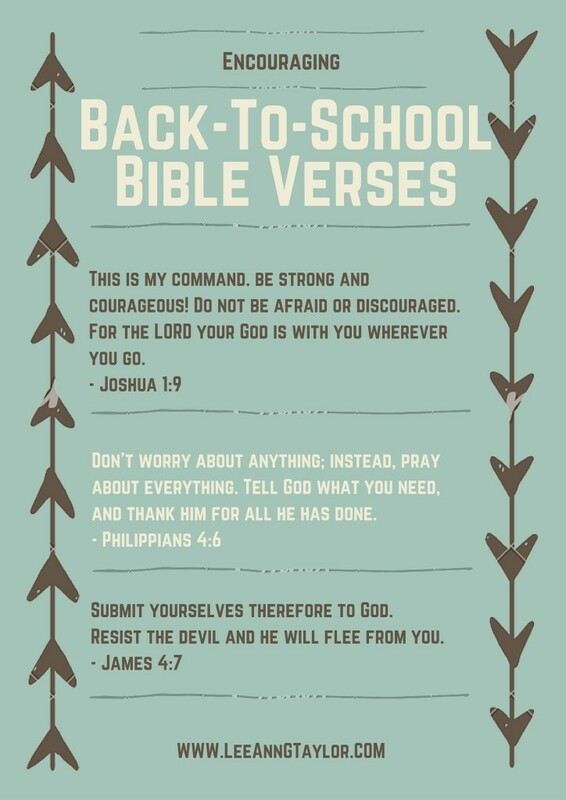 To help you get started, I’ve created two downloadable printables with encouraging back-to-school Bible verses. Please feel free to share with anyone you think would benefit from these as a jumpstart to intentional, God-centered mornings. Need a little help getting meals on the table now that school’s starting back up again? Try out my “secret weapon” — HomeChef! They deliver pre-prepped ingredients and easy-to-follow recipe cards (with pictures…so helpful!) for meals I’ve picked from their weekly selection right to my door! Want to see if it is your “secret weapon” too? You can try it out with a free $30 credit! 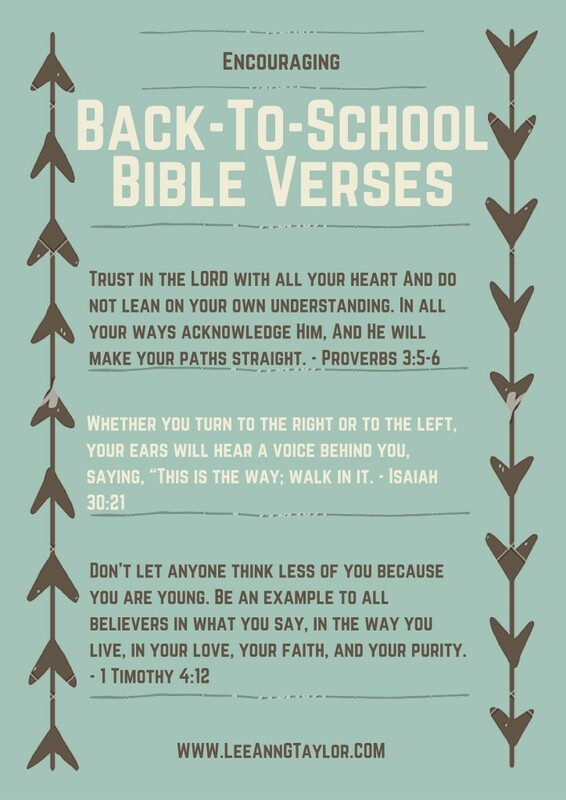 Use the social share buttons below to share these free printable back to school Bible verses with your friends. Many blessings for another wonderful school year!